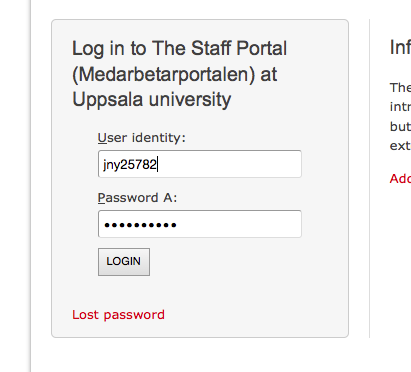 I do not work in Uppsala, how can I activate my university account? 193. 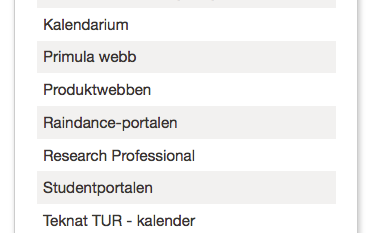 How do I log in to Raindance-portalen? Go to Medarbetarportalen - mp.uu.se. You have to log in. Press Logga in / Log in . Go to Min sida / My page. To get Raindance-portalen in the little list you have to press the cog wheel (settings) to the right. 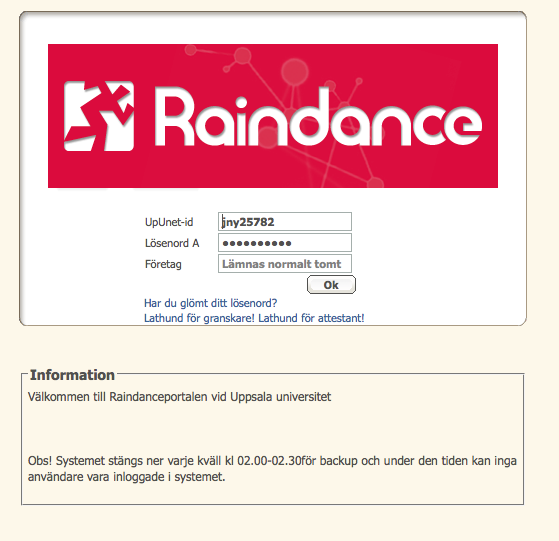 Now you can go directy to the Raindance-portalen. Ok, ready to log in using your username and password A.